This community has embraced the water project and have fully owned it. Their water is still clean and the spring is in good working condition. This is encouraging as it is an assurance that the project will be sustained in order to benefit the current population and future generations. 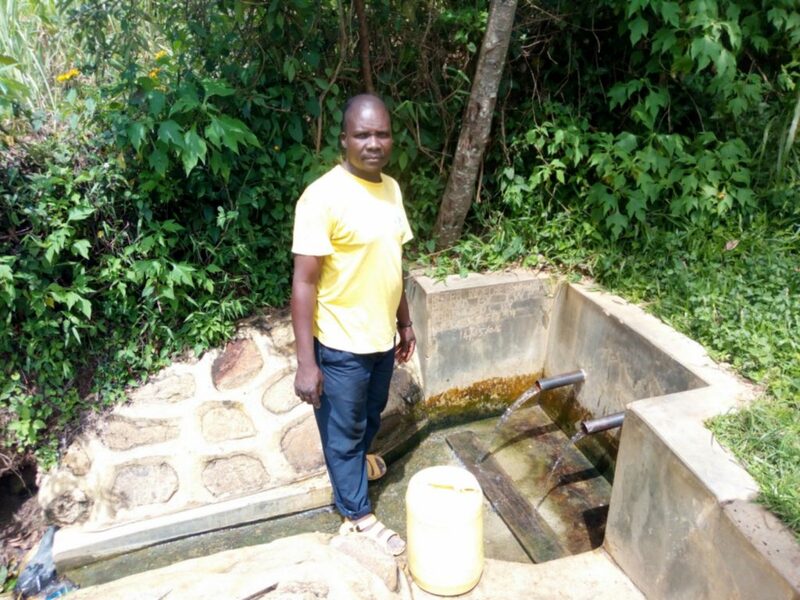 A year ago, generous donors helped build a spring protection with the community surrounding Peter Indeche in Western Kenya. Because of these gifts and contributions from our monthly donors, partners can visit project sites throughout the year, strengthening relationships with communities and evaluating the actual water project. 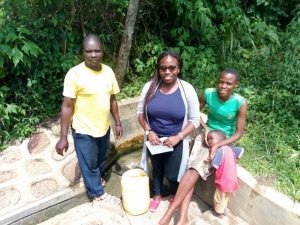 These consistent visits allow us to learn vital lessons and hear amazing stories – we’re excited to share this one from our partner, Christine Luvandwa, with you. 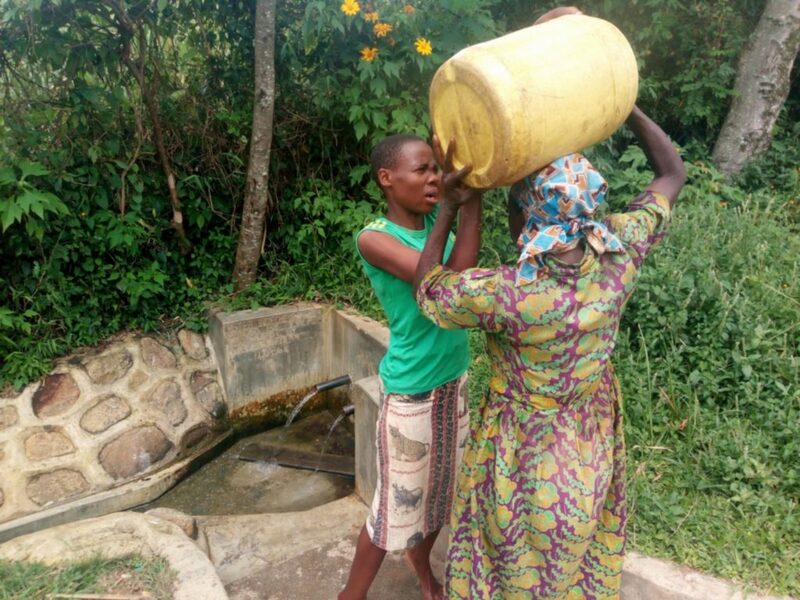 The lives of the community surrounding Peter Indeche spring has greatly improved in terms of household cleanliness. Community members have been able to erect and construct the various sanitation structures relevant for ensuring proper hygiene and sanitation is maintained. Environmental cleanliness is also something one would also notice when walking around this community. The contamination channels through which the water source was being contaminated has been blocked thus ensuring access to clean and safe drinking water. All these can therefore be attributed to the training this community received. In terms of maintenance and operation of the facility, the community members need reminder through a refresher course on how to properly clean and manage the water source, and on how to use some of the available local materials for income generation to improve their livelihoods. We will cover these topics through a refresher training. The Water Project and our partners are committed to consistent monitoring of each water source. Our monitoring and evaluation program, made possible by monthly donors, allows us to visit communities up to 4 times a year. Read more about our program and how you can help. 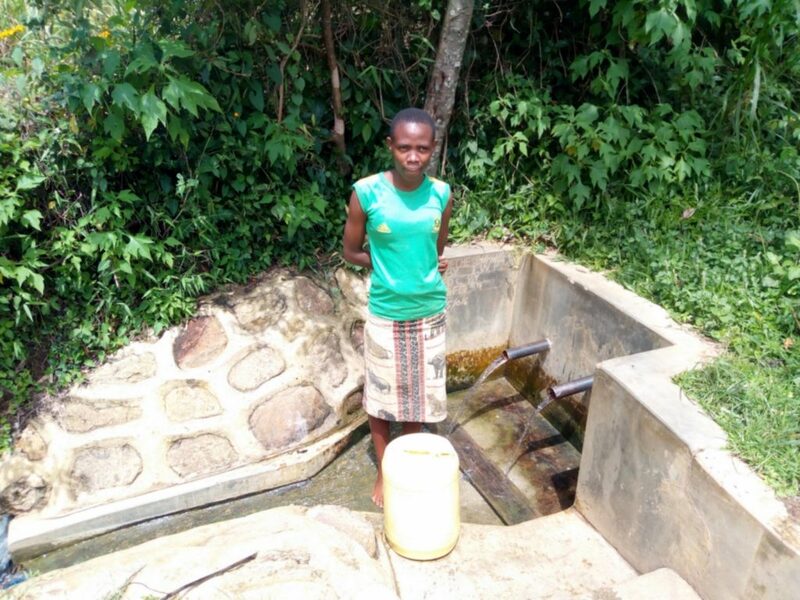 When you invest in The Water Project, you're investing in people like Mildred. Your gifts help us reach more communities with the gift of clean, safe water. And every drop helps unlock potential.